Sun, sweat, smells, rides and more fried food than you can shake a corn dog at. The Iowa State Fair is a magical place. But what about the music? It’s always in the air, and there’s so much of it that one could camp at the fair and carry on as though they were at a music festival. One thing you’ll find is a whole lot of country music. There is literally more country music at the Iowa State Fair than at Big Country Bash. And while the Grandstand may get all the attention, the free stages are loaded with talent, too. Peruse this rundown and take in all the sounds the fair has to offer. holy rollers — all seven band members are also youth pastors — played the Grandstand in 2011, 2013 and 2015, making 2018 their fourth appearance this decade (if you needed help with the math). They’ve spent so much time at the fair, I bet they have a favorite deepfried treat that keeps them coming back. My money is on one of the specialty funnel cakes, probably red velvet. most of any performer) Grandstand appearances? Only time will tell. Saturday, Aug. 11, 8 p.m.
Chris Daughtry was once a finalist on “American Idol,” finishing fourth on the fifth season (Taylor Hicks won). Shortly after the show, he formed rock band Daughtry. 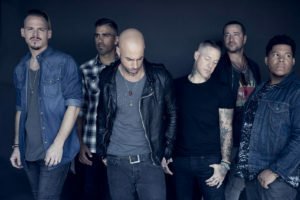 More than a decade later, Daughtry is still rocking and released its fifth album “Cage to Rattle” in July. The Grandstand has a bit of history with “American Idol” alumni, starting with season two runner-up Clay Aiken in 2004 (he lost to Ruben Studdard). Season four winner Carrie Underwood made an appearance in 2007 with a slew of the show’s standouts for “American Idols Live!” The fair even snagged season one winner and O.G. Idol Kelly Clarkson in 2009. Curiously, Daughtry is the only Idol alum to make a second showing, having previously played in 2014 with the Goo Goo Dolls. Sunday, Aug. 12, 8 p.m. 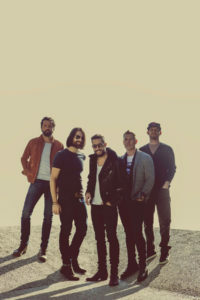 The band name Old Dominion is a nod to all four members’ ties to the state of Virginia, and their radio-friendly country-pop songs make it easy to see why they’ve earned multiple CMA nominations. 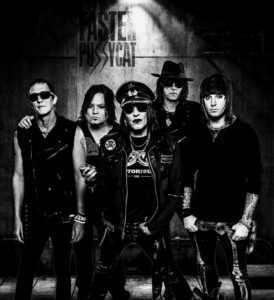 Their 2015 major label album debut “Meat and Candy” included their breakthrough hit “Break Up with Him” and was released through Sony Music Nashville. The label is also home to Dolly Parton, Tim McGraw, Faith Hill and Miranda Lambert. It begs the question, is Old Dominion the next big thing in country music? They have opened for Thomas Rhett and Kenny Chesney. See them now before they start headlining arena tours where tickets come with triple-digit price tags. 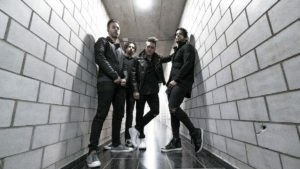 Monday, Aug. 13, 8 p.m.
Alt-rock band Papa Roach first rose to prominence in 2000 with their debut single “Last Resort.” Almost 20 years later, lead singer Jacoby Shaddix has eased up on the hair dye and eyeliner, and the band continues to release new material that packs the same punch as their early hits. However, their lasting legacy lies in a popular Internet meme based on the lyrics of that first single. It could be worse. Tuesday, Aug. 14, 8 p.m. The last comedy act to take the stage at the Grandstand was Dana Carvey with Dennis Miller and Kevin Nealon in 2013. A trio of SNL vets seems like a safe bet, but it was not. The fair ultimately lost $90,806, as reported by The Des Moines Register in 2014. 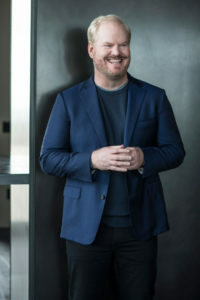 A loss that big explains the five-year gap between comedy acts, but if anyone can turn those numbers around, it’s the pale, Midwestern born-and-raised Jim Gaffigan. The proudly middle-aged father of five has packed Wells Fargo Arena before and released new material this year with “Noble Ape,” his 11th album. Wednesday, Aug. 15, 8 p.m.
Rhett has been on the up and up in the country music scene for the last few years, and a stop at the Grandstand is in order. He is currently touring behind his most recent album release, 2017’s “Life Changes.” His wife appears in the title track video from the album and was also in the video for “Die A Happy Man” from his last album. #couplegoals. Rhett has more crossover appeal than most, and this year won Country Artist of the Year at the iHeartRadio Music Awards. Thursday, Aug. 16, 8 p.m.
“September,” “Boogie Wonderland,” “Let’s Groove.” Earth, Wind & Fire can get any party started. While their hits came from the 1970s and early 1980s, they have become timeless classics. Sadly they are now sans founding member Maurice White (he passed away in 2016), and the lineup has seen plenty of changes over the years, but they still play the same great songs. By the way, comedian Sinbad will be providing the pre-show entertainment. A 1990s comedian and hitmakers from the 1970s, a classic pairing. In case you missed it: Star country duo and Grammy Award winners Jennifer Nettles and Kristian Bush went on hiatus in 2012. In that time, Jennifer Nettles had a baby, and both released solo albums. 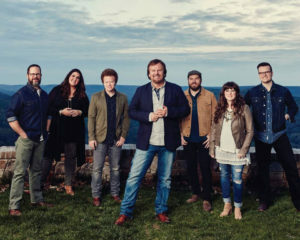 The twosome presented together at the CMA Awards in November, and the comeback was complete when they released “Bigger” in June, their first new album in eight years. Sugarland last performed at the Grandstand in 2010, and now they make their grand return. Saturday, Aug. 18, 8 p.m. 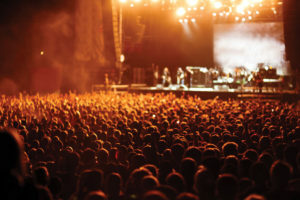 According to the Iowa State Fair’s website, Chicago’s 1974 appearance was the fourth most-attended show at the Grandstand, attracting 24,700 fans. This year, original Chicago band member Peter Cetera (he left the band in 1985) makes his solo debut on the sacred stage. The big question is: Does he play Chicago songs? He sure does. Cetera’s recent setlists are comprised mostly of Chicago, along with a couple covers of The Beatles and a light sprinkling of tunes from his solo career. Sunday, Aug. 19, 8 p.m.
Thursday, Aug. 9, 8 p.m. This a true gem amongst the free stages. 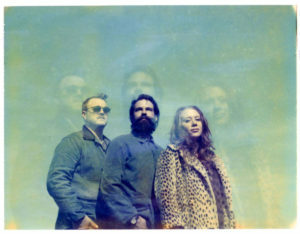 The Lone Bellow are known for their harmonies and songwriting, with all of it coming together to create a genre-bending sound. A little bit country, a little bit indie and a little bit Americana, The Lone Bellow have a flawless sound. By the way, they recorded their 2017 album “Walk into a Storm” in just seven days. Friday, Aug. 10, 7 and 9 p.m.
Would it still be the Iowa State Fair without a performance from The Nadas? No, it most certainly would not. Rumor has it, if you don’t go to at least one live performance of The Nadas per year, the powers that be will kick you out of the state and make you move to Nebraska. If you haven’t seen The Nadas yet, check them out, cross them off your Iowa summer music bucket list, and retain your Iowa residency. Saturday Aug. 11, 7 and 9 p.m.
Sunday, Aug. 12, 7 and 9 p.m. Billed as rock, folk and country, the three members of the band are siblings Collin (19), Adrienne (16) and Benny (12). You can also catch the kids performing with their parents in Matt’s Family Band on the Anne and Bill Riley Stage. sing-along “Just A Friend” takes heavy inspiration from Freddie Scott’s 1968 love song “You Got What I Need.” Except, in Markie’s version, his girl was cheating on him while she was away at school. Total buzzkill. More than likely, “Just A Friend” will fall toward the end of Markie’s set, but it’s definitely worth waiting around for. material is good, but his covers of Solomon Burke and Otis Redding are simply stunning. A husky voice and smooth delivery make Leela James’ soul/R&B music a standout amongst all the other musical entertainment at the fair. She also has a Soul Train and NAACP Image Award on her resume. While perhaps not well-known in the mainstream, Sexton’s influence is felt elsewhere in music. John Mayer once referred to him as his “favorite artist” and brought him onstage to duet on Sexton’s “Can’t Stop Thinking About You.” Not too shabby for a guy who got his start busking in Boston in the 1990s. Another classic Iowa act, Bob Dorr has played with several bands over the course of his multi-decade career, and The Iowa Music Review will serve as a variety show of sorts. Dorr will play with members from his Blue Band and a who’s who of tenured Iowa musicians. Making up one third of hip-hop icons Run-D.M.C., epochal rapper and literal living legend at the spry age of 54, D.M.C. 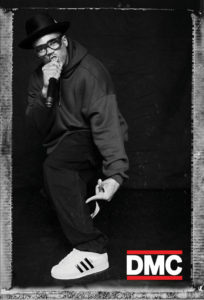 — a.k.a Darryl Matthews McDaniels — is apioneer of the genre. The group’s hits include “It’s Tricky,” “It’s Like That” and a little remix/duet with Aerosmith of “Walk This Way.” Run-D.M.C. 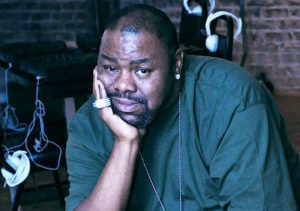 is credited for bringing hip-hop to the masses in the 1980s and created both a music and fashion movement in the process. This shouldn’t need explaining. The fact that this is a free show seems like an oversight (to the benefit of music fans), and we should all bow down to D.M.C., as he is unquestionably music royalty. Thursday, Aug. 9, 7 and 9 p.m.
Friday Aug. 10, 7 and 9 p.m.
Hailing from Branson, Missouri, Matt and Lisa and their three kids have been stopping at fairs across the country for the last eight years. The five-piece band plays covers as well as original material. Yes, they’re all red heads. The four sisters left their home in Alaska in 2007 to pursue music, and it’s been a red-hot hootenanny ever since. An up-and-comer on the Christian pop circuit whose music sounds a lot like One Republic. This country duo is pulling double duty at the fair. Catch them for free at the amphitheater, and see them again when they open for Old Dominion at the Grandstand. “Uber Driver” and “Free Drinks” are two Faren Rachels song titles. Perhaps the country lady is trying to snag views based on popular Google searches? This young, bearded country stud is on everyone’s watchlist right now. He’ll surely graduate to opener status on the Grandstand the next time he pays the fair a visit. This 14-year-old could be the next Taylor Swift or Rebecca Black; it remains to be seen. Wednesday, Aug. 15, 5 and 7:30 p.m.
A throwback roundup. Make sure to wear your biggest belt buckle. Kaci Brown and Sam Gray are brand-new country duo Brown and Gray. Gray is English and might be the lone foreigner of the music acts. These pretty ladies make pretty and powerful country music. Two Alabama boys whose country music is refreshingly earnest. No bro country here. The Gap Experience is made up of original members of funk/R&B group The Gap Band. More than 30 million albums sold after more than 30 years together, this hard rock band isn’t slowing down anytime soon. Friday Aug. 10, 8 p.m.
Straight out of Los Angeles, “the kings of sleaze rock” have a reputation they’ve been living up to since the 1980s. An all-female Iron Maiden tribute band! Solid folk/rock from a fellow Midwesterner. It’s the band that covers all the 1980s hits and dresses like them, too! Multiple costume changes, lots of energy and a perfect act for the fair. As it turned out, Bad Company was bad company for Howe, and he decided to go solo in 1994. An all-female Guns N’ Roses tribute band!